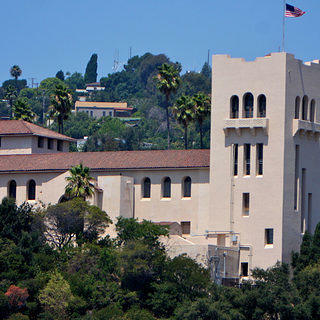 The first museum in Los Angeles, the Southwest Museum, was opened in 1914 by Charles Lummis, a visionary historian and early preservationist whose collection of Native American art and artifacts is considered one of the most important of its kind. Throughout the 20th century, the historic museum buildings, sited prominently in Mt. Washington and designed by Sumner Hunt and his partner Silas Burns, welcomed visitors from around the world. However, many years of financial challenges and declining attendance led the Southwest Museum to merge with the Autry Museum of the American West (Autry) in 2003. At that time, the Autry assumed responsibility for the site’s historic buildings, which includes the historic Southwest Museum of the American Indian,, its 12-acre campus, an archive, a large and important collection of ethnographic and archaeological artifacts, and the 1917 Casa de Adobe, a hand-built adobe structure that was intended to be a replica of a historic early California rancho. While the Autry has completed the careful documentation, conservation, and preservation of the museum’s vast collection of art and artifacts in their new Resources Center and stabilized the historic museum buildings to address earthquake damage, the Autry and the community were not able to reach consensus on the most viable, appropriate, and sustainable use for the buildings and grounds. The National Trust for Historic Preservation and our Los Angeles Office announced the Southwest Museum Site as a National Treasure in January 2015, to a large and enthusiastic audience. With this designation, the National Trust kicked off a complex, multi-phased planning process that included intensive stakeholder interviews; an online public survey of over 4,000 people; a year-long event series intended to test different uses and draw new audiences and communities to experience the site in new ways; the formation of a broad-based Steering Committee to advise our work; a detailed market assessment; a feasibility study for the Casa de Adobe; and the development and promotion of a Request for Interest. The end goal of the campaign is to identify appropriate, financially sustainable, long-term uses for the Southwest Museum site that will reactive the buildings and grounds and respond to community needs. 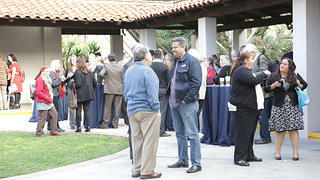 More than 150 Southwest Museum site supporters turned out for the big day in January 2015. If you’d like to know more about the role of National Trust or our planning process, please see our Southwest Museum Site Planning Process FAQ that addresses some of the most common questions. Respond to the Request for Interest before June 10. Sign up to receive notifications and updates about our work.